Ohio often comes up nearly every four years with an incoming Presidential election, as a notable swing state as well as a bellwether state in relation to political trends. If Ohio is also a bellwether state in relation to other trends, it is likely for promoting excellent business climates in the country. With manufacturing and shipping as two of the state’s largest sectors of financial activity, Ohio is a driver’s paradise in many respects. The storied Lincoln Highway, running from San Francisco to New York, has one of the largest presences in Ohio, a route that connects travelers to several large and industrious towns to this day. Historic U.S. Route 40 is a also a noted roadway in the city. 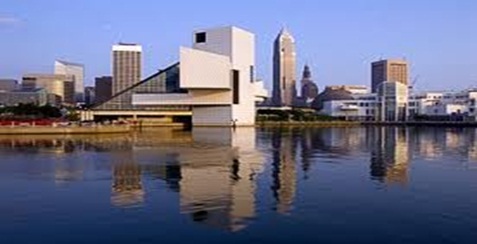 From its flat land to pleasant rolling country to its rugged hills in the southeast, Ohio is a Midwest state located in the prime Great Lake region and bordering major centers of four other states. While its rich farmland provides a strong agriculture industry and its rich minerals lead the country in production of lime, clay and salt, Ohio has grown into a highly industrialized center with many major cities and its automotive and metal manufacturing industries now leading its economy. With railways and highways crisscrossing the state, Ohio has long provided the means for transporting large amounts of good everywhere. From its Lake Erie ports in Toledo and Cleveland to its network of highways to major cities across the nation, Ohio is hub for transportation. Adding that to its recently reviving automotive industry, Ohio relies on its trucking industry more than ever and truck drivers are increasingly in demand. for everyday lives. As the economy has improved dramatically in the last two years and is continuing to grow stronger, these numbers are only getting higher and Ohio's trucking industry needs more and more drivers. The U.S. Bureau of Labor Statistics reported the number of trucking companies in Ohio had grown to 12,730 and the trucking industry paid out almost $12 billion dollars in annual wages. Also found, was these trucking companies provided 268,470 jobs, employing one out of 15 people in the state and truck drivers earning a $44,390 annual salary, well above the national average. With more and more truck driver jobs becoming available and a variety of positions ranging from light delivery drivers to heavy tractor-trailer drivers to local to long haul, Ohio is becoming a hotspot for jobs. It's trucking industry not only thriving and providing lucrative earnings; it is also committed to the safety of its drivers and bettering the industry as well. The Ohio Trucking Association provides a number services to its drivers and educates the community on sharing the road with commercial trucks. It continues to improve the quality and safety of the trucking industry through improved driver training, investment in advanced safety technologies and active participation in industry safety initiatives at the local, state and national levels. Ohio has certainly suffered in recent years, but those days are over and the trucking opportunities are now. There are all types of jobs becoming available all over the state with the most jobs being in Columbus, Cleveland and Cincinnati. Whether you already live in Ohio or coming from another state, the jobs are plentiful for truck drivers who want them and TruckDrivingJobs.com will help you get the best of them. We are the one-shop on-line truck stop for the best truck driving opportunities, with immediate access to available positions all over the state to on-line application forms directly linking you to the employers before anyone else. Below are list of companies currently hiring within ohio. Call 419-832-1601Based out of Grand Rapids, R & R Transport Services owns 277 trucks and primarily transports regular Flatbed & Reefer loads, Car hauling, Reposession & Towing. Call 740-867-5266Based out of Chesapeake, C & M Trucking owns 135 trucks and primarily transports regular Flatbed & Reefer loads, various metals such as Brass, Titanium, Copper, Iron, Logs, Poles, Beams, Lumber, Building Materials. Call 513-531-4424Based out of Norwood, Square Appliance Center owns 232 trucks and primarily transports Household Goods. Call 937-433-6000Based out of Centerville, O'rourke Enterprises owns 483 trucks and primarily transports regular Flatbed & Reefer loads, Car hauling, Reposession & Towing, NON PLACABLE FUEL. Call 513-253-8737Based out of Harrison, E & E Trucking owns 121 trucks and primarily transports regular Flatbed & Reefer loads, Fresh Produce. Call 740-333-5428Based out of Washington Courthouse, C & R Trucking owns 493 trucks and primarily transports Construction equipment. Call 330-394-1075Based out of Vienna, H F Everett Gas & Oil owns 164 trucks and primarily transports Petroleum Gas & Natural Gas, Toxic Materials. Call 740-828-2411Based out of Frazeysburg, H & S Drilling Co owns 647 trucks and primarily transports Machinery, Oversized loads such as Farm Mining or Oilfield equipment, Petroleum Gas & Natural Gas, Toxic Materials. Call 614-846-2611Based out of Powell, Quality Antenna Services owns 492 trucks and primarily transports Construction equipment. Call 740-668-7511Based out of Bladensburg, T D Petroleum owns 409 trucks and primarily transports Petroleum Gas & Natural Gas, Toxic Materials. Call 419-394-4444Based out of Celina, H & S Company owns 870 trucks and primarily transports regular Flatbed & Reefer loads, Machinery, Oversized loads such as Farm Mining or Oilfield equipment, Farm Supplies. Call 937-526-5797Based out of Versailles, G And S Ag Producers owns 781 trucks and primarily transports Livestock, Grain, Feed, Hay, Farm Supplies. Call 614-353-9058Based out of Hilliard, F C B Enterprises owns 850 trucks and primarily transports regular Flatbed & Reefer loads, Paper Products. Call 740-534-2267Based out of Pedro, C & P Trucking owns 384 trucks and primarily transports regular Flatbed & Reefer loads, Coal, Coke, Dirt & Gravel. Call 513-617-3528Based out of Hamersville, K & L Enterprises owns 605 trucks and primarily transports Dry Van. Call 740-382-5701Based out of Marion, Na-churs Alpine Solutions owns 93,000 trucks and primarily transports , Toxic Materials. Call 937-473-3006Based out of Covington, G M Mechanical owns 374 trucks and primarily transports Building Materials. Call 937-537-8275Based out of Bellefontaine, F Ray Boyd owns 860 trucks and primarily transports regular Flatbed & Reefer loads, various metals such as Brass, Titanium, Copper, Iron, Logs, Poles, Beams, Lumber, Building Materials, Machinery, Oversized loads such as Farm Mining or Oilfield equipment, Fresh Produce, Grain, Feed, Hay. Call 937-968-5294Based out of Union City, C & C Ag Carriers owns 872 trucks and primarily transports regular Flatbed & Reefer loads, Grain, Feed, Hay, Dry Van, Farm Supplies. Call 740-377-9761Based out of South Point, M & M Mailing Company owns 775 trucks and primarily transports U.S. Mail, Paper Products. Call 614-377-2630Based out of Galloway, Enterprises owns 615 trucks and transports all kinds of freight. Call 419-687-8237Based out of Plymoth, W H Fitzer & Sons owns 157 trucks and transports all kinds of freight. Call 740-269-1252Based out of Bowerston, L & M Trucking And Excavating owns 921 trucks and primarily transports regular Flatbed & Reefer loads, Machinery, Oversized loads such as Farm Mining or Oilfield equipment. Call 330-878-7879Based out of Strasburg, R & J Transport owns 834 trucks and primarily transports various metals such as Brass, Titanium, Copper, Iron. Call 330-929-8153Based out of Cuyahoga, Q C Fabrications owns 511 trucks and primarily transports STEEL RACKS. Call 740-496-2008Based out of Harpster, Qualitec Trucking owns 710 trucks and primarily transports Grain, Feed, Hay, Farm Supplies. Call 330-925-1000Based out of Rittman, H A D owns 859 trucks and primarily transports Machinery, Oversized loads such as Farm Mining or Oilfield equipment, Oilfield Equipment, Water - Well, DRILLING Equipment. Call 330-326-2171Based out of Windham, R & K Machine Products owns 196 trucks and primarily transports regular Flatbed & Reefer loads, various metals such as Brass, Titanium, Copper, Iron, Logs, Poles, Beams, Lumber, Building Materials, Machinery, Oversized loads such as Farm Mining or Oilfield equipment, Garbage, Refuse, Trash, Construction equipment. Call 419-499-2946Based out of Norwalk, K Austin Co owns 111 trucks and primarily transports regular Flatbed & Reefer loads, LAWN GARDEN EQUIPMEN. Call 330-852-8814Based out of Dundee, T & J Hershy Trucking Ltd owns 736 trucks and primarily transports regular Flatbed & Reefer loads, Logs, Poles, Beams, Lumber. Call 740-633-5055Based out of Bridgeport, E R B Electric Company owns 430 trucks and primarily transports regular Flatbed & Reefer loads, Building Materials, Machinery, Oversized loads such as Farm Mining or Oilfield equipment. Call 419-876-3850Based out of Miller City, Nadler Transport Ltd owns 881 trucks and primarily transports regular Flatbed & Reefer loads, Fresh Produce, Grain, Feed, Hay, Paper Products, Farm Supplies, SCRAP METAL. Call 740-535-1410Based out of Mingo Junction, A & D Chappano Enterprises owns 156 trucks and primarily transports Car hauling, Reposession & Towing. Call 740-288-7036Based out of New Carlisle, W A H Orporated owns 713 trucks and primarily transports regular Flatbed & Reefer loads, Fresh Produce, Meat, Dry Van, Refrigerated Food, Paper Products, Toxic Materials. Call 937-392-0084Based out of Ripley, G & C Septic Service owns 503 trucks and primarily transports Pumping & Draining services. Call 937-302-0706Based out of Leesburg, I T Transport owns 454 trucks and primarily transports regular Flatbed & Reefer loads, various metals such as Brass, Titanium, Copper, Iron, Car hauling, Reposession & Towing, Logs, Poles, Beams, Lumber, Building Materials, Machinery, Oversized loads such as Farm Mining or Oilfield equipment, Intermodal Containers, Oilfield Equipment, Grain, Feed, Hay, Construction equipment, Toxic Materials. Call 937-743-2923Based out of Franklin, Quality Architectural & Fabrication owns 191 trucks and primarily transports SPEC. MADE HANDRAILS. Call 330-386-7773Based out of East Liverpool, E A J C O owns 171 trucks and primarily transports Logs, Poles, Beams, Lumber, Building Materials, Construction equipment. Call 740-335-2188Based out of Washington Ch, Armbrust Precast owns 732 trucks and primarily transports CONCRETE PRODUCTS. Call 419-865-0067Based out of Swanton, Ontario owns 562 trucks and primarily transports regular Flatbed & Reefer loads, various metals such as Brass, Titanium, Copper, Iron, Car hauling, Logs, Poles, Beams, Lumber, Building Materials, Machinery, Oversized loads such as Farm Mining or Oilfield equipment, Grain, Feed, Hay, Dry Van, Paper Products, Farm Supplies, Construction equipment. Call 740-482-2817Based out of Bucyrus, C & D Jury Farms owns 647 trucks and primarily transports Machinery, Oversized loads such as Farm Mining or Oilfield equipment, Grain, Feed, Hay, Farm Supplies, SEED. Call 330-534-8583Based out of Hubbard, C & C Towing owns 936 trucks and primarily transports regular Flatbed & Reefer loads, Car hauling, Reposession & Towing, Toxic Materials. Call 330-723-4147Based out of Medina, C & W Freight owns 753 trucks and primarily transports regular Flatbed & Reefer loads, LTL Furniture distribution. Call 419-924-9447Based out of Alvordton, P J & T Transportation owns 634 trucks and transports all kinds of freight. Call 419-525-0496Based out of Mansfield, C & P Trucking owns 557 trucks and primarily transports regular Flatbed & Reefer loads, Grain, Feed, Hay, Garbage, Refuse, Trash, Dry Van, Paper Products. Call 937-549-4600Based out of Manchester, G & W Manufactured Housing owns 921 trucks and primarily transports Mobile Homes. Call 937-675-3477Based out of Jamestown, E & J Trucking owns 140 trucks and transports all kinds of freight. Call 740-669-4836Based out of Langsville, R Industries owns 142 trucks and primarily transports regular Flatbed & Reefer loads, Building Materials, Machinery, Oversized loads such as Farm Mining or Oilfield equipment, Livestock, Grain, Feed, Hay, Farm Supplies, Construction equipment.